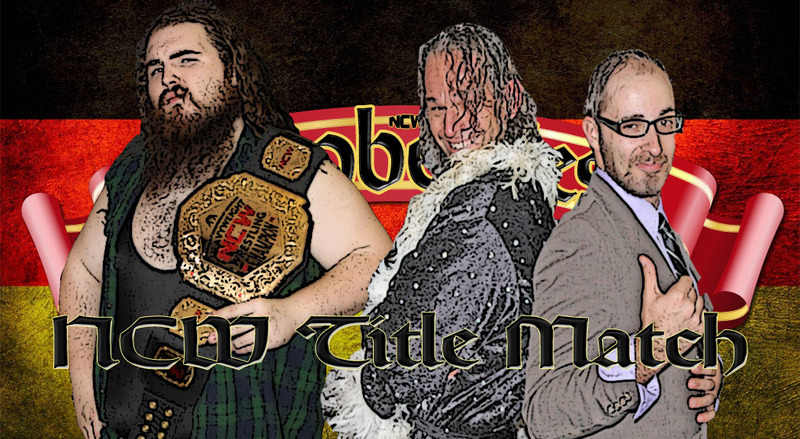 All three NCW titles will be defended tonight at OktoberFest as we get closer and and closer to our Season Finale November 18th at WrestleFest XII. In the night’s Main Event the NCW Heavyweight Champion Lumberjake will defend his NCW Championship against “Sensational” Scott Levesque (w/ “High Class” Rich Bass) a month earlier than their scheduled Championship Match at WrestleFest. 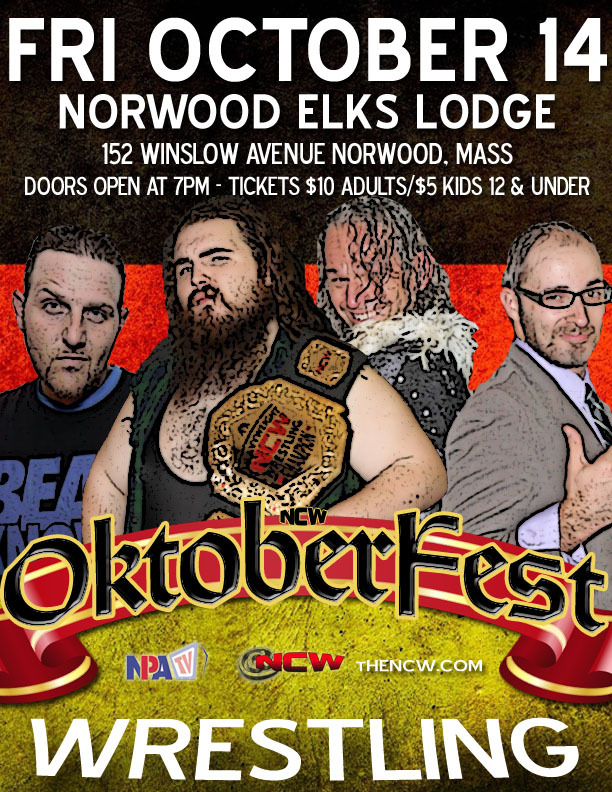 As a special preview you can now watch the NCW OktoberFest pre show, normally reserved for those at the live audience in Norwood! Follow NCW on Twitter tonight @theNCWtweets using the hashtag #NCWOktoberFest. 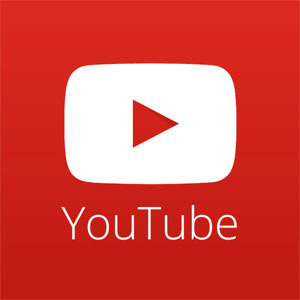 Be sure to like NCW on Facebook and check out instant updates and some live action tonight on Facebook Live! 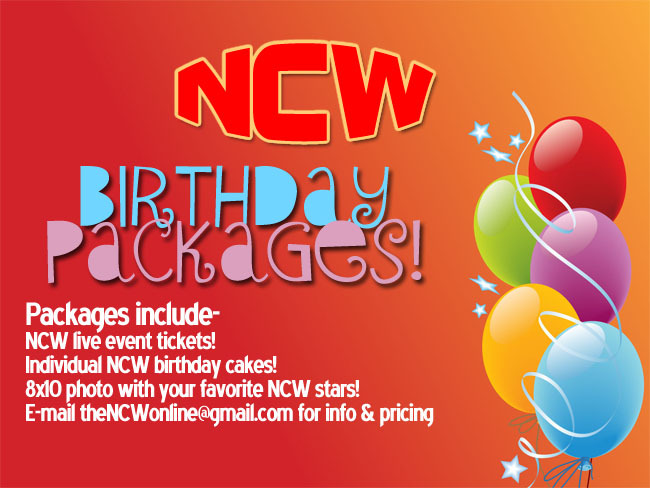 For any immediate questions please e-mail theNCWonline@gmail.com! NCW in Norwood and SPW running tonight in Woonsocket. Sat. SPW is in Taunton and NECW has a show in Wakefield. Get off the couch and let’s go!